ME: What can I help you find this afternoon? CUSTOMER: Well . . . I’m just looking for something good to read. Anything you’ve read lately you would recommend? ME: Oh, yes! I really enjoyed Astray by Emma O’Donoghue. She wrote Room. It’s a collection of short stories, and I thought just about every story was wonderful. CUSTOMER: Uh-huh . . . I wasn’t really looking for short stories. Anything else? 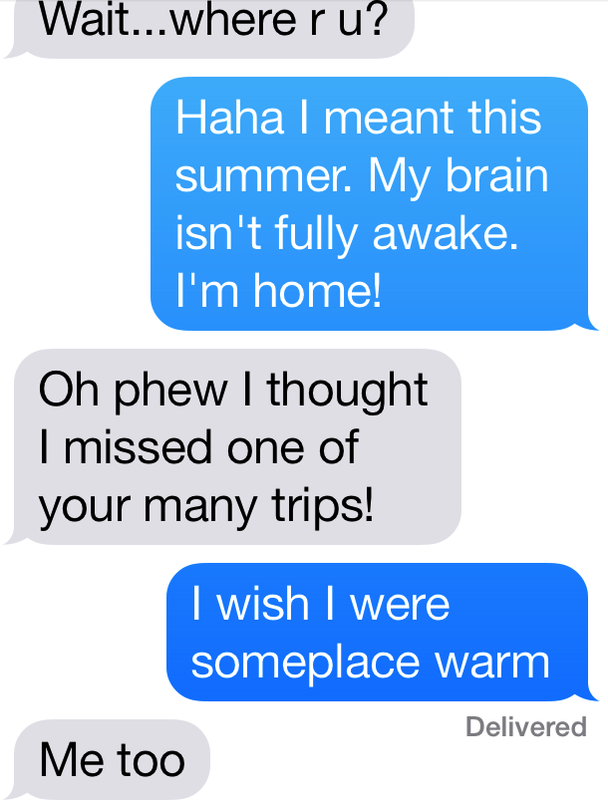 A typical text conversation of mine. Not a shining example of how digital technology enhances writing skills. The generation of writers out of college in the last few years has been raised to engage with words like no generation before. Our generation was raised on passive media like television and telephones; this generation has been engaged in writing to each other in text messages on a 24-hour basis. I think it has made them bolder and tighter. Hmmm, I’m not sure if texting makes anyone’s writing “bolder and tighter”, and I really don’t think the new generation of writers has “been raised to engage with words like no generation before” — but I appreciate the attempt at putting a positive spin on round-the-clock texting. They’re . . . short. When you’re between books, or don’t have the time to immerse yourself in your current book, it’s very satisfying to read a thoughtful, well-written story. You feel like you’ve accomplished something. And there are many stories you can read in 10 or 15 minutes . . . stories that you will be thinking about for much, much longer than that. They’re usually very well-written. 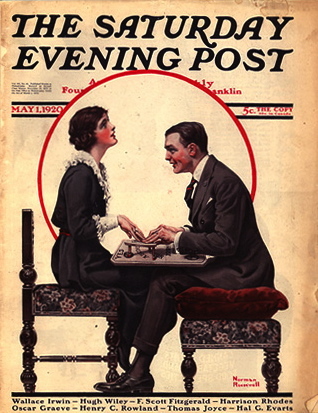 Writers who are able to publish collections of short stories are generally well-established literary writers. It takes a tremendous amount of skill to write a good short story. Even if you scratch your head trying to figure out what the story was really about, you will appreciate the writing. They’re perfect for book clubs. No one can show up to your book club without having read the selection — anyone can find the time to read a short story or two. How about a meeting where you compare two short stories? A discussion based on a story might actually last longer than a discussion of The Goldfinch — especially if only two members of your group have finished it and the rest don’t want the ending ruined. They are wonderful to listen to or to read aloud. I really enjoy the NPR Selected Shorts podcasts. I find it hard to listen to audiobooks; I keep losing track of the plot. But short stories are ideal for car trips or walks. They lend themselves to rereading. I’m much more likely to reread a short story than a novel. I’m often amazed by how much more I appreciate a story when I read it again. I’m sure I’d feel the same way if I reread I novel, but I rarely do that; there’s always another book waiting. I recommend starting with a short story anthology so you can read what an editor considers the best stories by top short story writers. I love the Best American Short Stories series, which comes out in paperback every fall. Each year, there’s a different editor, who’s a well-respected author; the 2013 volume is edited by Elizabeth Strout. The O. Henry Prize Stories series is also wonderful. I can almost guarantee that if you pick up any book in either of these series, you will find at least one story that speaks to you. Next on my list? 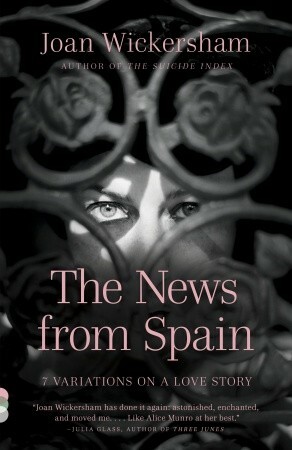 The News from Spain by Joan Wickersham. Love this so much! As a short-story writer, reader, and a huge fan of Alice Munro, Jhumpa Lahiri, and Flannery O’Connor. I’m so glad Alice Munro won the Nobel Prize, and I’m very happy to have a list to pass to my short-story-skeptic friends! I have always found it amazing how much has changed in the literary field. A short story use to be something of value now it’s a fluff piece. It’s so sad, too. I think the short story needs to be recognized as it’s own literary art form because that’s what it is. It takes a special kind of author who can masterfully piece together a believable story arch in just a few pages. I love, love, love your post. I am a huge fan of the short story and I sometimes feel like a one-person army working in their defense. 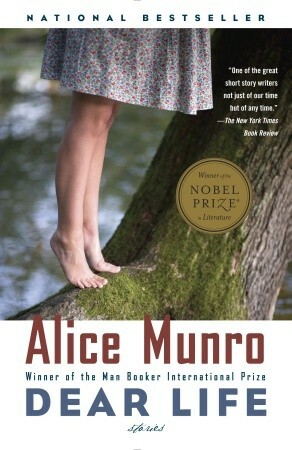 I was so happy when Alice Munro won the Nobel because I hoped that it would not only bring more people to her work but to the short story in general. I usually recommend starting with the prize anthologies here (Best American, O. Henry, and Pushcart). I’m not generally a fan of short stories. I don’t really know why. I’ve been getting so many recs from this topic today, I might have to try some out. This is a fantastic post, thank you! I love short fiction, and I always have a hard time selling it, too. Most people go straight for the long fiction. I think it’s two things, really. First, a comfort thing – a “book” means a novel. And, second, people worry they won’t feel that sense of accomplishment or satisfaction from a short story (or short stories). But, as I always say, the shorter the fiction, the more important each word becomes. Yes! So glad you commented on my post and led me to yours. You have so many great points and positives on the short story! I felt a resurgence in my reading this year to get back to them and find more great short story authors.